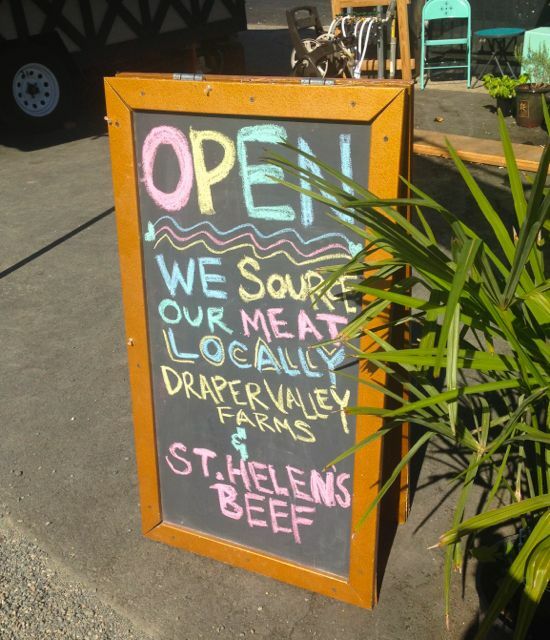 We did the chicken and tri tip combo. I loved this. Great flavor running through it, yet you can add any hot sauce to it and that only makes it better. We tried a few since we had 2 entrees. 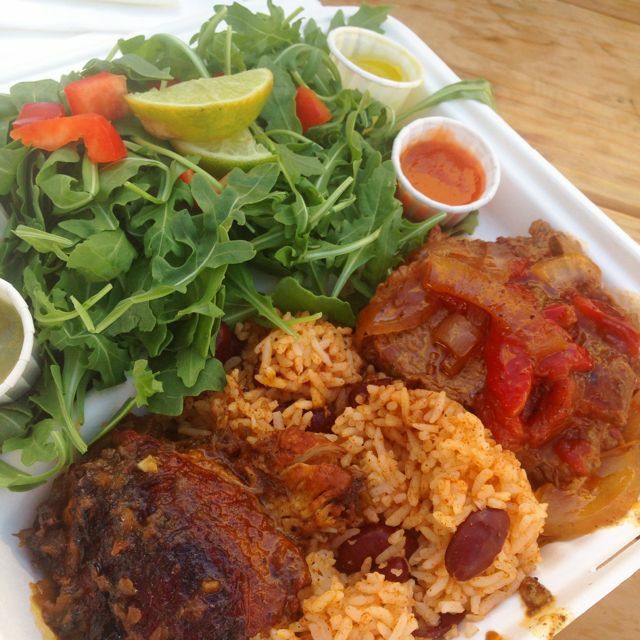 I loved that it had rice and beans with it and the salad was a great bonus. This is a food cart I will definitely be back too. I just can’t remember which I liked better, so I guess I will be just have to order the combo again. 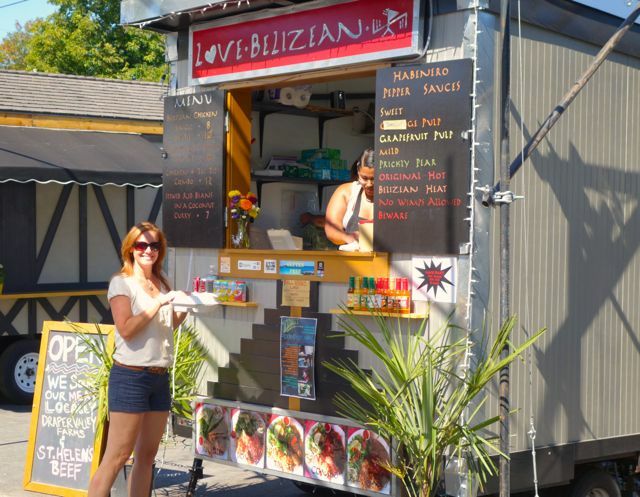 Food carts compete with restaurants in offering the best possible food they can. Love Belizean is no exception. 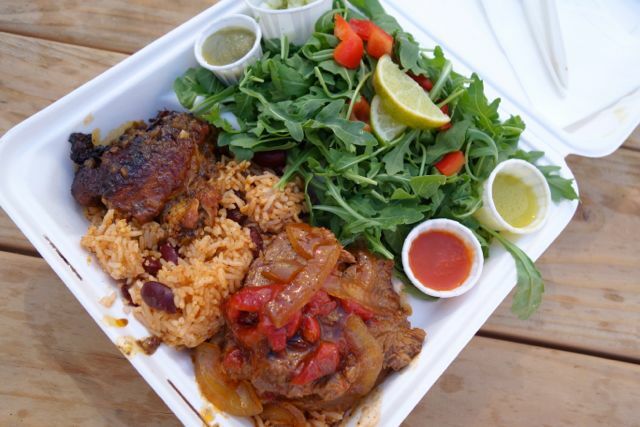 Chicken and Tri tip stead from Love Belizean. Get the combo! Atmosphere at this pod is great. It’s the most well designed food cart pod in all of Portland. Pricing was $12 for this large combo plate that I shared. Service was great. She cranks out the food pretty darn fast. She did have a few drinks there, but there is also a beer cart in the pod. 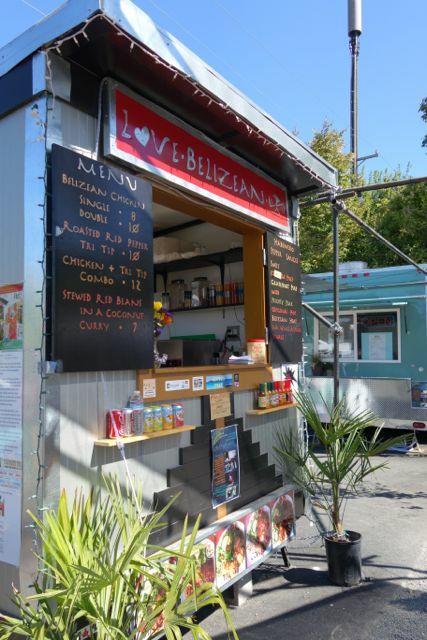 Love Belizean has moved to the new food cart pod Tidbit Food Farm and Garden.